Woodford Patricia 3rd was sired by the Dripsey Super King son Breaghey Diamond, and is out of the Ballintlea King daughter Woodford Patricia 2nd. 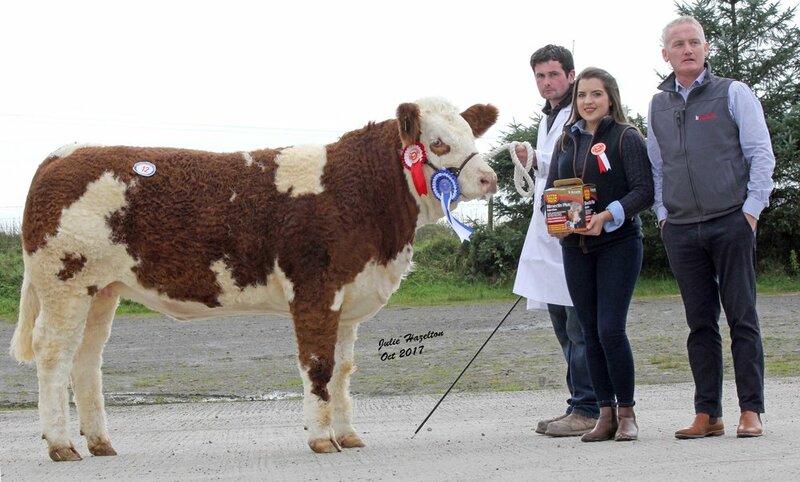 Included in the price was her five-month-old Dermotstown Delboy bull calf Woodford Iceberg. Scanned back in-calf to Delboy, she attracted spirited bidding from pedigree breeders around the sale ring. The closing bid came from Jason Whitcroft who runs the Armagh-based Whitdrum Herd. 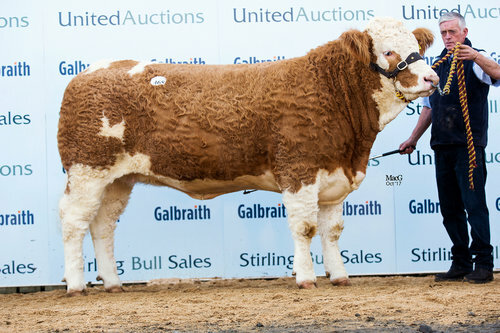 A small entry of pedigree bulls peaked at 2,000gns, paid to Joe Wilson and Sons, Newry, for the male and reserve supreme champion Ballinalare Farm Hector. This seventeen-month-old entry is a son of the outcross sire Curaheen Apostle, and is out of the home-bred Ballinalare Farm Fay – one of 65 cows in the herd. In the breed’s top 5% for eye muscle area +5.4, he sold to Leslie Glenn from Carryduff. Bull, born between 05/02/16 and 01/07/16 – 1, male and reserve supreme champion, Joe Wilson and Sons, Ballinalare Farm Hector by Curaheen Apostle; 2, and reserve male champion, Joe Campbell MRCVS, Camus Harold by Kilbride Farm Newry; 3, Andrea and Keith Nelson, Scribby Farms Highlander by Dermotstown Delboy.